On the run up to Ellie Goulding's sophomore album Halcyon (out October 9 on Cherrytree/Interscope Records) we've got French DJ crew Birdy ..
Justice needs no introductions in this part of town. 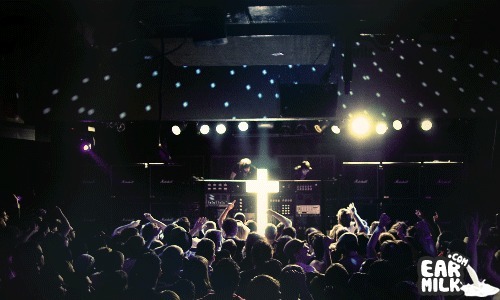 Grabbing their instant fame from their debut album † in 2007, they continue to rule .. The DMV native Logic is back on his grind releasing another great visual record from his forthcoming mixtape due this spring. "The Spotlight" ..
Today (well, technically yesterday) the next official video from the french duo Justice has/was been released. Although their new album has had somewhat ..
On the heels of the launch of his Bromance Records label and November release of his delectable FabricLive.60, Brodinski is kind of on top of the world. ..